The SCARPA Origin is a comfortable, all-day beginner’s climbing shoe, designed by the legendary Scarpa designer Heinz Mariacher who wished to create the ultimate performance rock shoe for the novice climber. 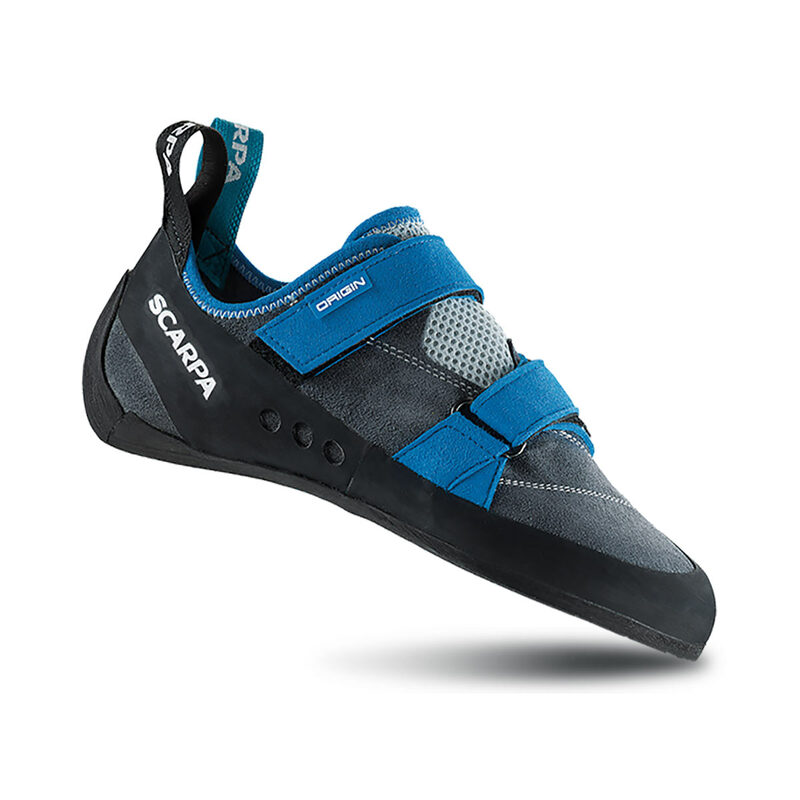 With the recognition that beginner’s climbing shoes need to be just as thought about in terms of design as any other type of shoe, Scarpa enlisted one of their most experienced designers to produce a shoe that would kickstart a climber’s passion: the result was the Scarpa Origin. A flat profile, neutral shape, and full-foot midsole is both comfortable and supportive, the best to build foot strength in the foot. An easy to use hook-and-loop dual velcro closure provides a secure fit with simple on-and-offs, but the real cherry on top is the upper: made of a lush leather, it ensures an all-day comfortable wear, and will mould to the foot perfectly to guarantee the minimum amount of stress with the greatest performance. Proprietary Vision rubber for the best combination of grip and durability. SCARPA's Vision rubber, a proprietary compound that is both sticky and resilient to all the conditions that new climbers' feet will experience.